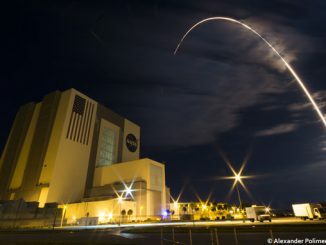 United Launch Alliance has granted “flight clearance” for its workhorse Atlas 5 rocket to resume satellite deployments after linking an errant valve with the fuel usage crunch on its most recent mission and tweaking subsequent vehicles. 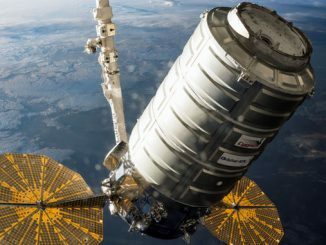 Bidding farewell to the International Space Station today, the commercial Cygnus cargo ship separated to a safe distance before igniting an intentional fire in microgravity like never before, all in the name of science. 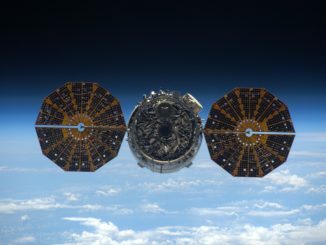 Concluding 80 days attached the International Space Station, the commercial Cygnus cargo ship will be detached to fly away Tuesday for an unprecedented onboard fire experiment before re-entering the atmosphere next week. 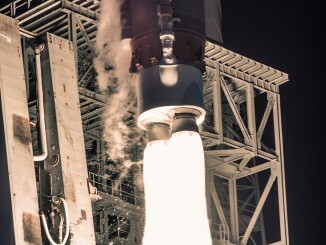 The detective work into the Atlas 5 rocket’s first stage performance trouble during the Cygnus cargo ship launch a week ago has implicated the fuel system as the likely culprit for using up the liquid oxygen supply too quickly. 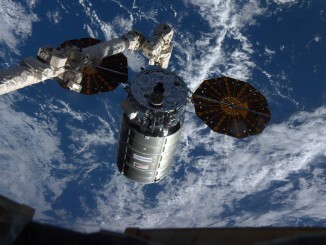 Astronauts aboard the International Space Station used the robotic arm to snare a commercial cargo ship and bring it aboard this morning while traveling at five miles per second. 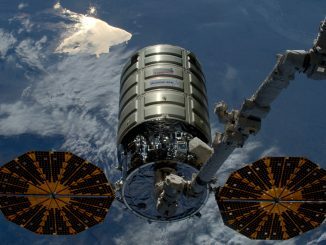 The International Space Station crew reaches out with the Canadian robotic arm and grabs the Cygnus OA-6 commercial cargo ship filled with 7,485 pounds of supplies, food and science gear. 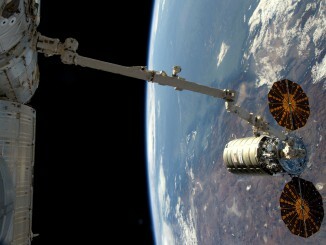 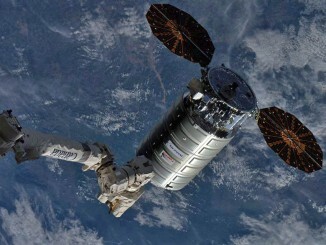 The commercial Cygnus freighter carrying over 7,000 pounds of food, supplies and science experiments completed a flawless rendezvous with the International Space Station on Saturday morning. 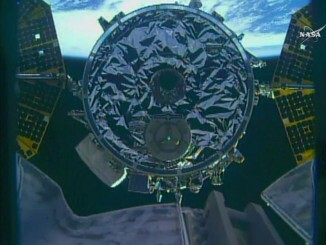 It was captured by the robotic arm at 6:51 a.m. EDT (1051 GMT). 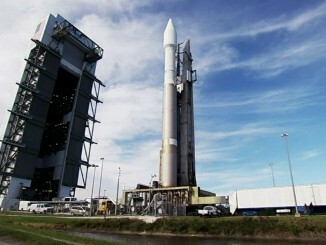 These narrated videos show the pre-launch preparations that readied the United Launch Alliance Atlas 5 rocket and the Orbital ATK Cygnus commercial cargo-delivery spacecraft for flight and rolling to Complex 41 for liftoff to the International Space Station.